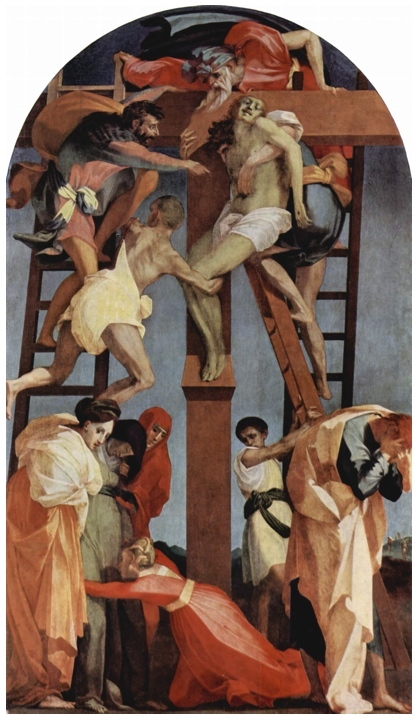 Giovanni Battista di Jacopo (1494 –1540— known as Rosso Fiorentino–the “red Florentine”) painted this Deposition in 1521, when he was twenty-seven. Goodness! We should all do so well. It’s engaging in several ways. The shapes are crisp and simple. The composition is a lively interplay of diagonals against the severely rectilinear cross and ladders, all against the bluish gray sky shapes. 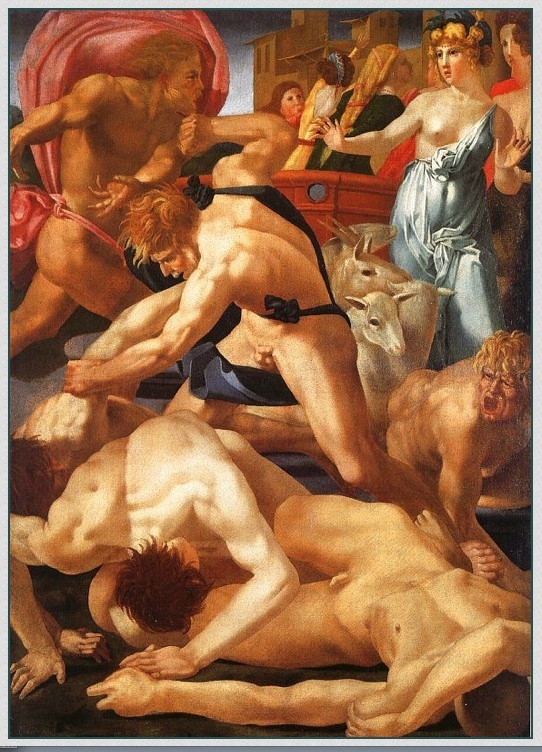 The action overfills the space, keeping the viewer close in. Each player has a different, personal reaction to the moment: some mourn, some struggle with the practical problem of getting the body down, shouting advice to each other. 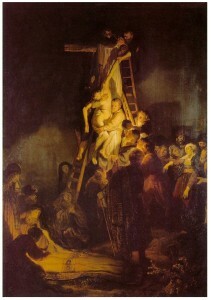 The subject of the piece is thus the boisterous human situation surrounding a crucifixion—one among many, after all, for these people—as opposed to the boiled-down concentration on the spiritual significance of the event, as exemplified by the Rembrandt below. 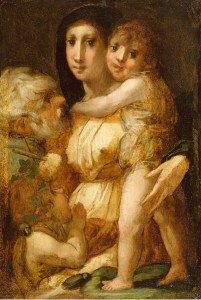 Even the gentle “Holy Family with the Infant St. John the Baptist” is peopled by people, not symbols.